There are quite a few video game franchises over the years that anyone can recognize. Even if they aren’t Super Mario Bros., Donkey Kong, or Sonic the Hedgehog, some have crept into that upper echelon. Minecraft is one of those and it’s not hard to see why. With all sorts of Minecraft merchandise out there it’s hard to ignore. All this started with an alpha version for the PC back in 2009 and has grown into the success it sees today. Just about every major system received a port of the game. 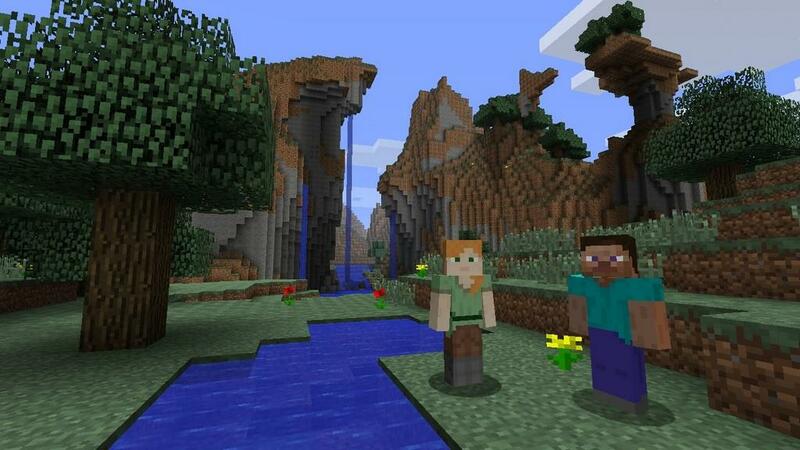 Today, I check out the Wii U version titled Minecraft Wii U Edition. Now, there is something I want to note before getting into the review proper. Outside of a few minutes here and there, I had zero experience playing Minecraft. What that means is, this review comes from a point of view judging how accessible the game is for a newcomer. Likewise, I'll judge this version based on its own merits and shortcomings. That said, let’s get into the game itself. 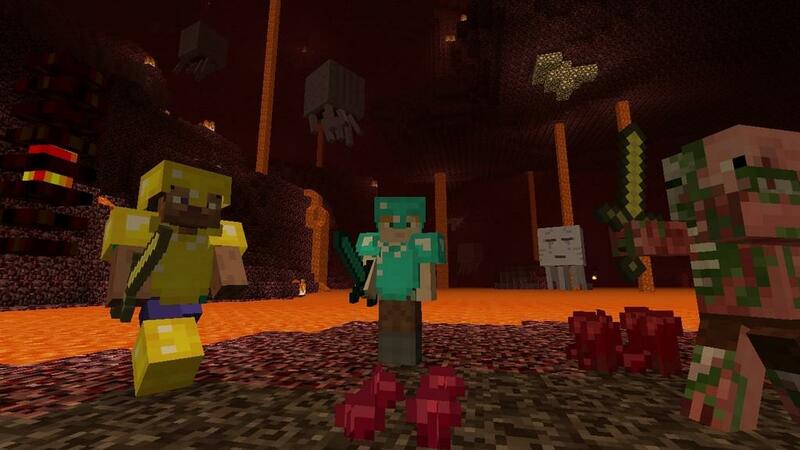 If you've neverexperienced Minecraft, it’s a sandbox game set in a randomly generated world. You gather resources, turn those resources into items and tools, then build your world however you wish—while protecting it and yourself from the creatures of the night. There are three different ways to play: Survival, Adventure, and Creative. All three modes have the same goals but different ways to achieve them. 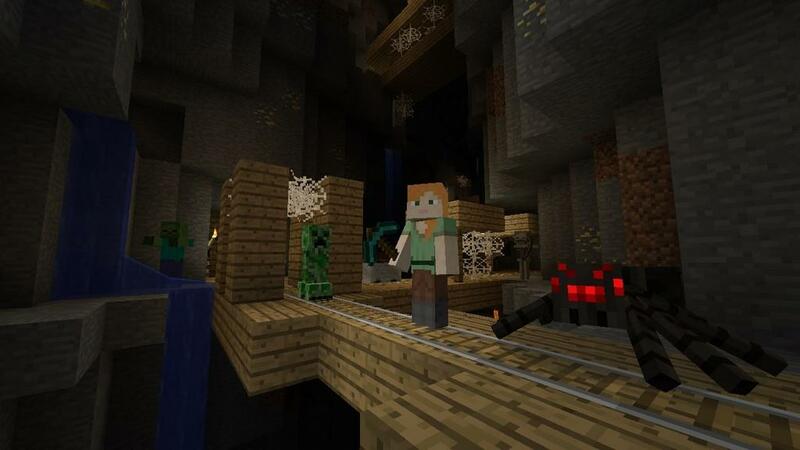 Survival Mode starts in a world full of resources to mine and gather, and to build whatever you want. You do have to defend your creation from enemies, such as Creepers and Skeletons, that come out at night. Getting hit will damage you. You recover health by filling your hunger meter or crafting stuff to increase your health. Creative Mode gives you everything right from the start. It's perfect if you want to concentrate on building whatever your imagination comes up with, without resources limitations. On the opposite end of the spectrum is Adventure Mode. Here you can enter a world but you can’t mine anything right off. Normally you can mine and gather basic resources no matter what tools you have, if any. You can even gather wood from trees, barehanded. In Adventure Mode however, you can’t mine most resources without a specific tool (axe for wood, pickaxe for stone, etc.). This mode is for people who want friends to visit their world without giving them the ability to wreck it. Since this is the Wii U version of the game and seeing as how the Wii U has a tablet for a controller, you would think that the developers would put that to some good use. They do, but not exactly how you probably think. The game has Off TV play meaning you can play the game entirely on the game pad. That itself is pretty nice other than having to squint at the screen sometimes to read what’s in your inventory, but that also brings forth a couple of issues, the first being that it leaves out what you’d think the game pad would be used for: inventory management. While you can use the touch screen to select the items on your main hot bar, the tablet controller would be perfect to navigate and manage your inventory via the touch screen, being able to easily move around your items, place items in the furnace, etc. This is something I’d like to possibly see implemented in a future patch or update. The game offers local multiplayer up to four people split screen, as well as online multiplayer where you can play with friends as well as have “friends of friends” join your world. The problem with the split screen though is that the game pad also shows the split screen, making using it to see what’s going on nearly impossible. I’m not saying the game pad is completely useless, but you would think that with the touch screen functionality they would give it more functionality. The game offers a tutorial for those who have never played the game before and it’s a nice introduction to how the basics work such as mining, crafting, and using the furnace as well as how various items and contraptions work. My only real nitpick with that is while you’re reading the tip boxes and trying to accomplish what they’re saying, another tip box may take its place to give an explanation as to what you’re looking at, even if it has nothing to do with what part of the tutorial you’re on. It’s nothing big but just something that annoyed me a bit, especially since I’ve never played the game before and I’m trying to figure out how to craft items, not identify what kind of resource I’m staring at. Let me say this now. 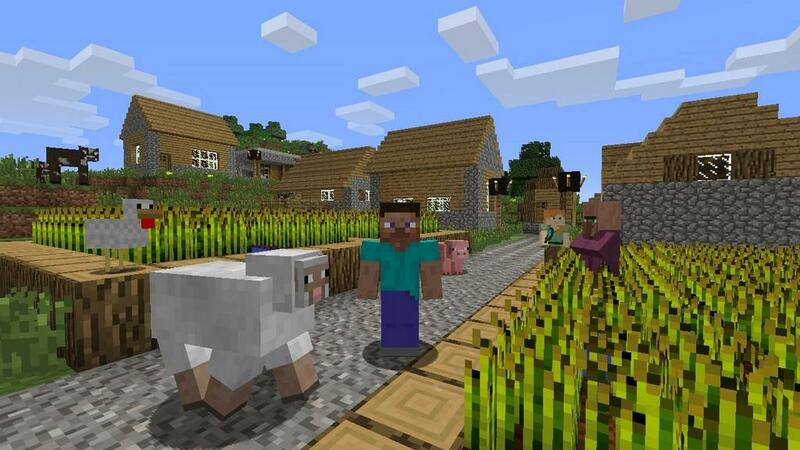 In no way do I think Minecraft is a bad game. On the contrary, if you have a great imagination and just want to go out and build whatever you can think of to your hearts content, you’ll have a blast with Minecraft. Me? I’m not the most creative person on the planet. I hear about people making huge buildings, temples, and monuments, and my first shelter is literally a hole in the ground with a couple of torches. However, the more I played around with the game the more I began to understand how things work and what I need to mine just to survive. I could always just go into creation mode to make whatever I want, but I also enjoy the challenge of living off the land and just surviving with what’s immediately available to me. 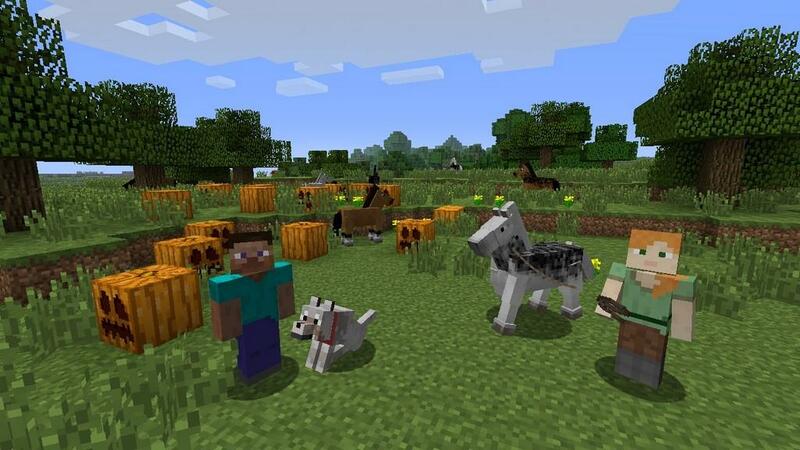 In the end, Minecraft is a fun and enjoyable game, but the Wii U Edition could use some improvements. There are extra tile sets and outfits in the game that you can also purchase in the eShop, but nothing seemingly that adds gameplay value to the game itself. It’s also the only console version of the game that’s priced at $29.99 while the others are all $19.99, which seems a bit perplexing and maybe a tad overpriced. If it had actual touch screen functionality I could possibly justify a slightly higher cost, but as is it seems a tad high. If you already have another version of the game be it PC or console, you’re not missing much by skipping out on this version. 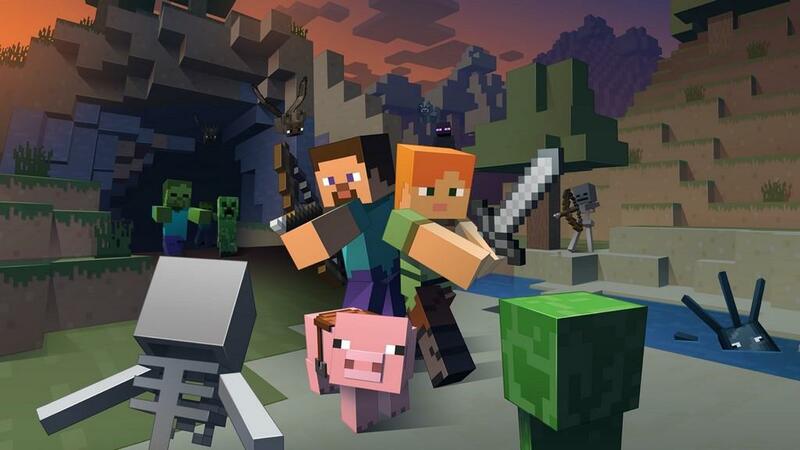 However, if you’re looking for a version to play, like the ability to play off screen, and don’t have any other console to play it on, Minecraft Wii U Edition is still worth picking up, but you might want to wait until it goes down in price a bit or goes on sale. Minecraft Wii U Edition is a fun game, but I feel that the additional $10 over its other console counterparts isn’t quite justified. Sadly the game pad isn’t put to much more use other than just being another controller to use and I don’t feel that additional textures and skins warrants another $10. It’s still a fun game but if you already have another console version, this might be one to skip unless you have friends who also pick up this version.